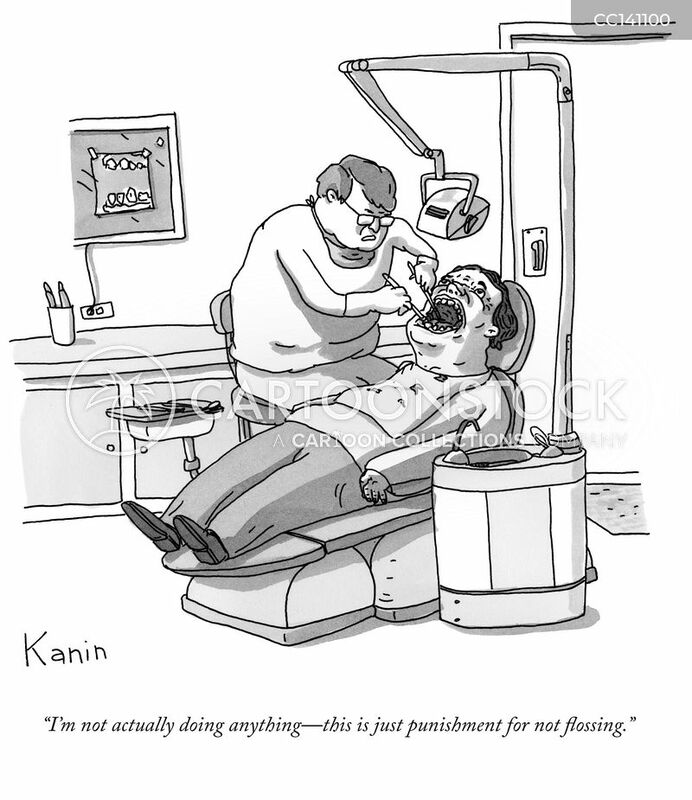 "I'm not actually doing anything-this is just punishment for not flossing." 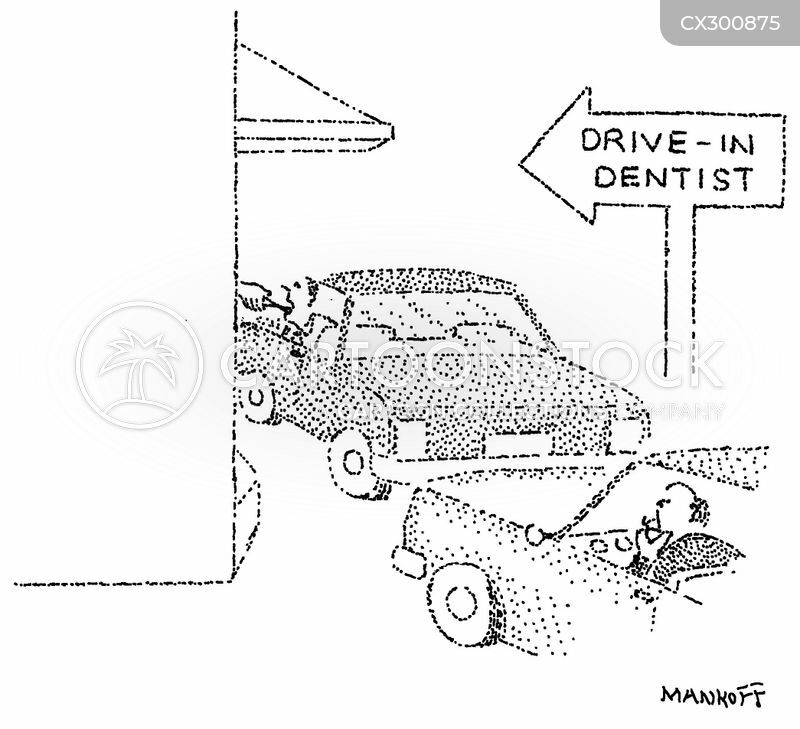 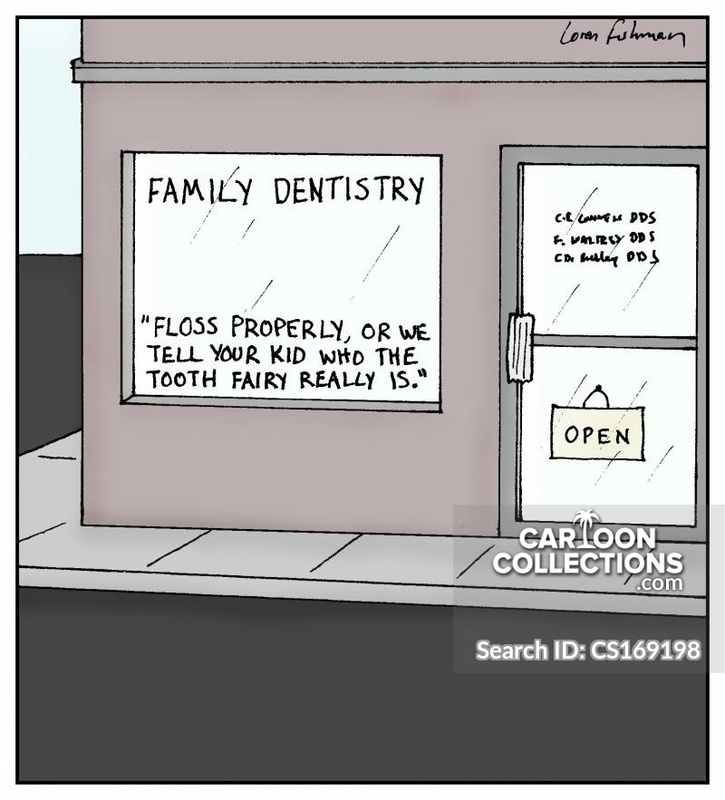 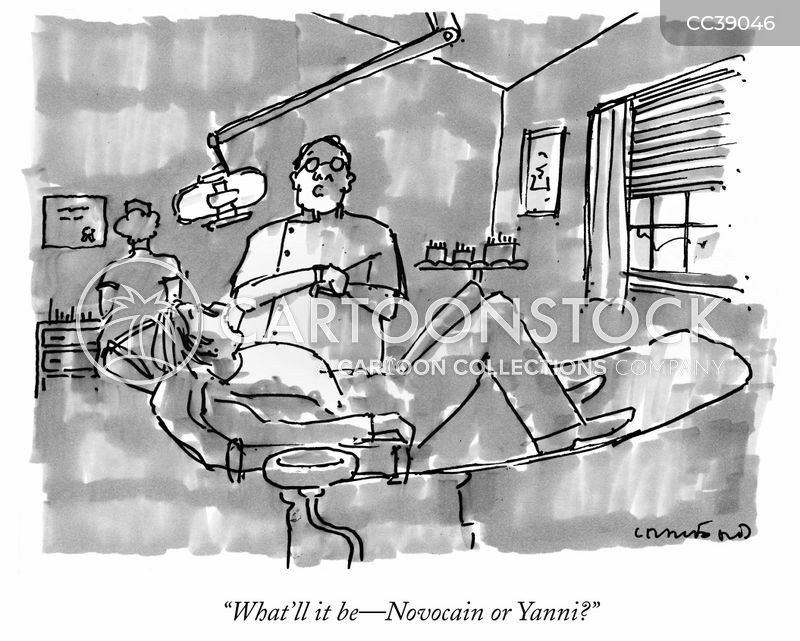 "What'll it be—Novocain or Yanni?" 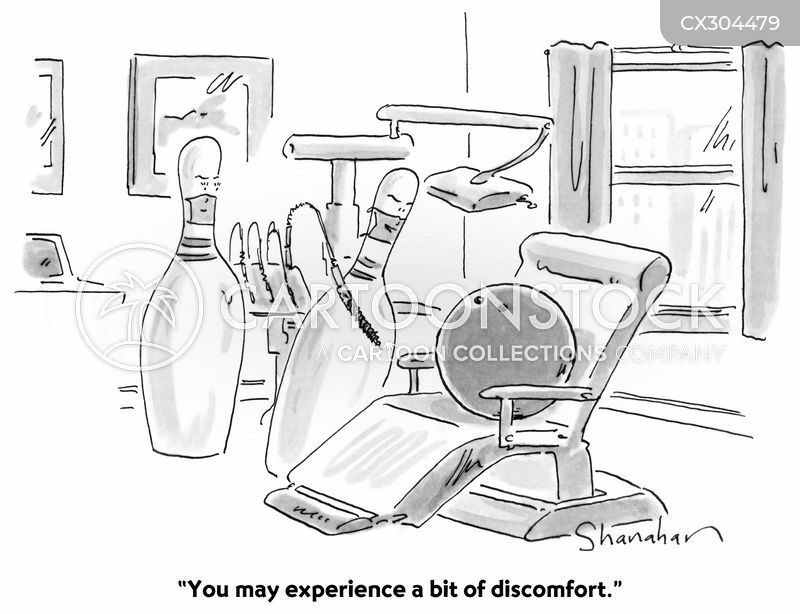 "You may experience a bit of discomfort." 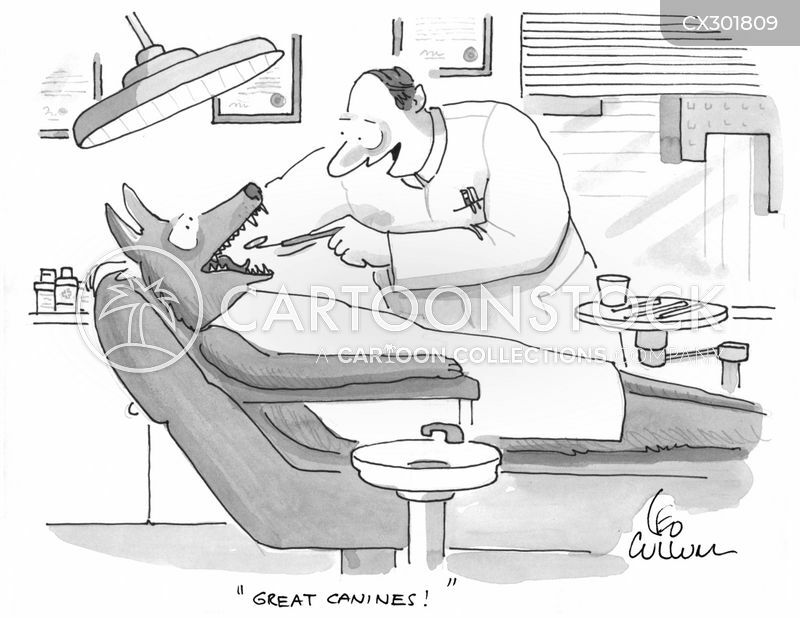 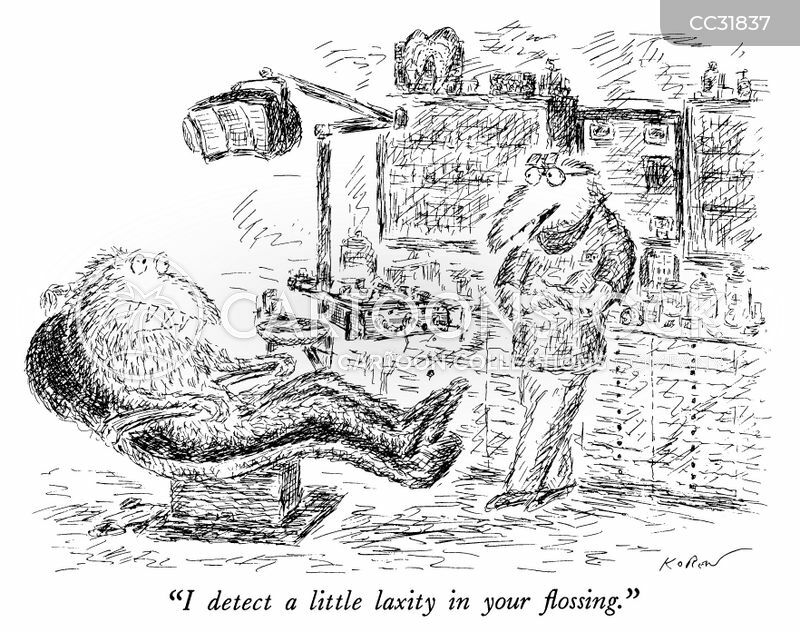 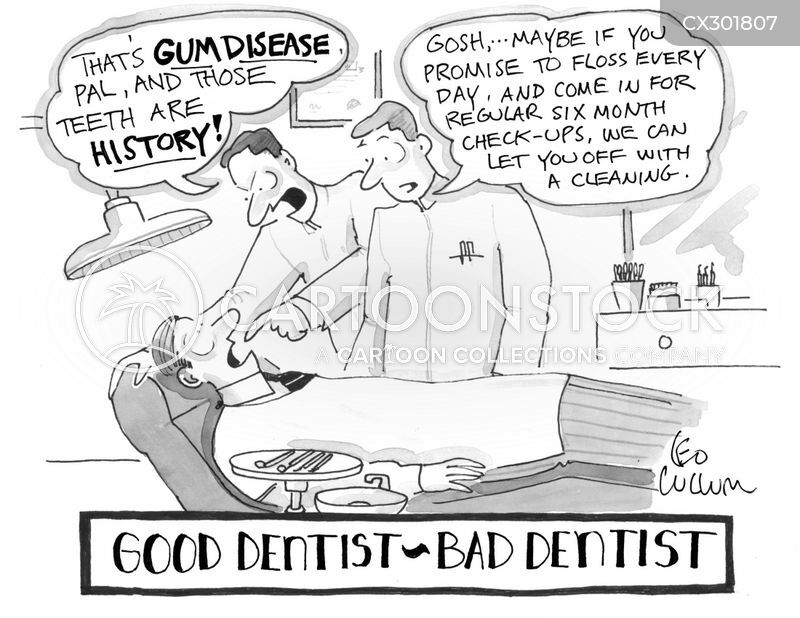 "I detect a little laxity in your flossing." 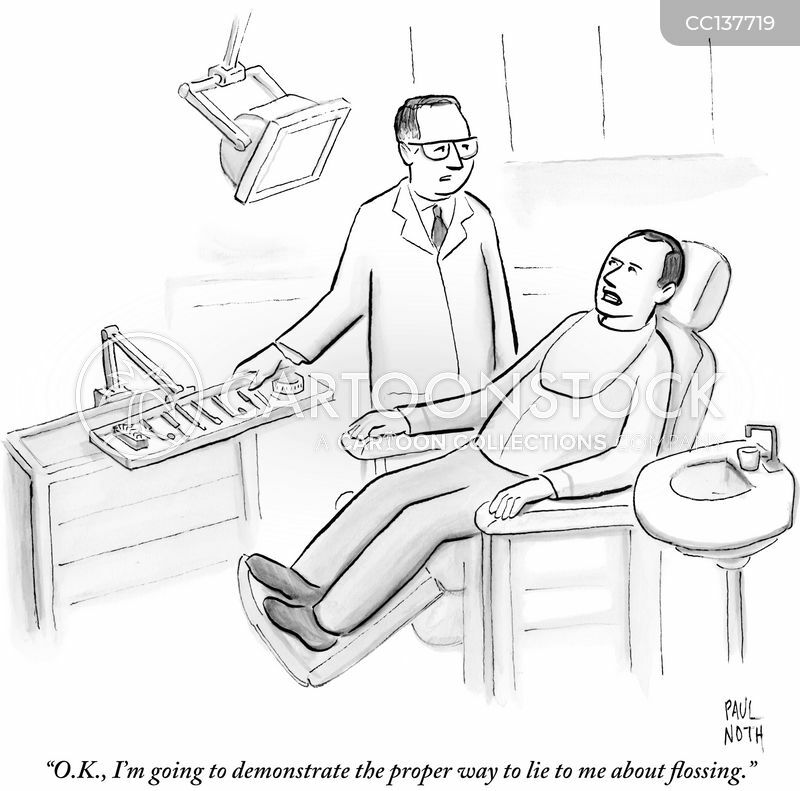 "O.K., I'm going to demonstrate the proper way to lie to me about flossing."